Review: William R. Davis Jr. The Twilight Zone is one of my favorite science fiction franchises of all time and has inspired countless, similar spinoffs of every ilk. The BBC's Black Mirror miniseries ranks up there with my must watch favorites, but if you replaced the actors with Americans and changed the title to "The Twilight Zone", I doubt anyone would notice the difference. 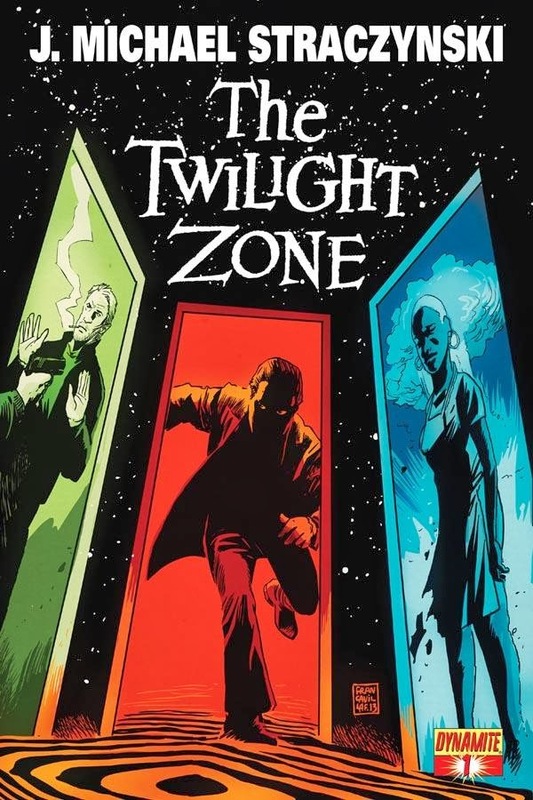 When Dynamite announced that they were releasing a new Twilight Zone series penned by J. Michael Straczynski, I felt mildly excited by the news. My love for good science fiction has not waned in the slightest, however, Straczynski recently authored that abysmal Dr. Manhattan Before Watchmen miniseries, contributing to what may be remembered as the most egregious transgression against the medium of our generation. To his credit, before taking a small part in defiling one of the all-time classic works of sequential art, he did create Babylon 5 and wrote scripts for the 1988 Twilight Zone reboot, so I found myself conflicted but admittedly anxious for this new release. The introduction was masterfully written and a delightful precursor to what I would find in the later pages. 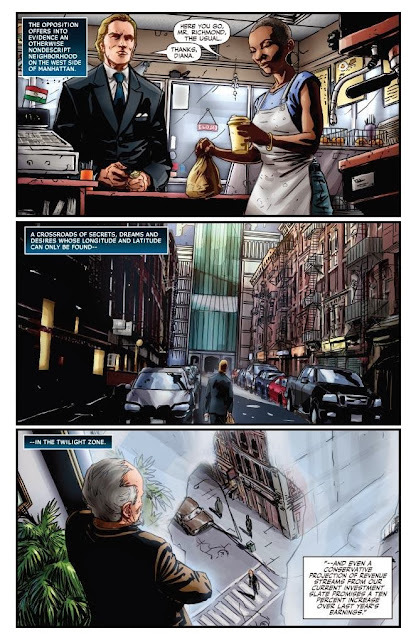 Straczynski's twelve issue run will definitely find its way into my collection. A part of me wishes that each one was a self contained tale, more like the original series, but that is my only criticism thus far and I'm picking nits to find one. 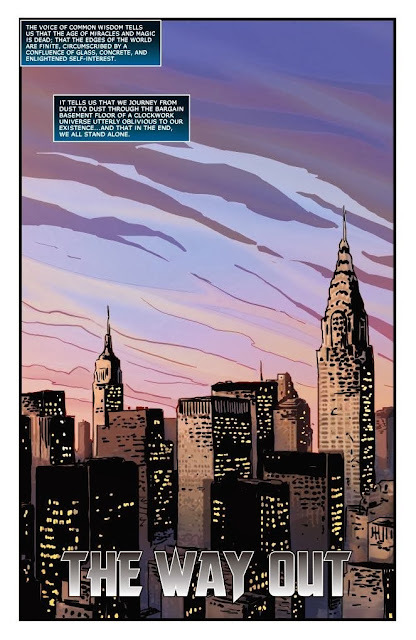 A couple extra panels would have wrapped up this story quite nicely too, but this first arc will run through issue four. This new take on The Twilight Zone is a very modern tale of financial corruption with an occult twist that will not leave the reader wanting. Despite the artistic shortcomings, I found The Twilight Zone #1 to be the most entertaining and enjoyable title I have read yet this week. Please keep in mind that if you slap the words Star Trek or Twilight Zone on something I will more than likely be giving you my money. IDW's current ongoing Star Trek series is another book that I find highly satisfying while being completely visually broken at the same time. Both are titles I would highly recommend. I gave you my caveat, so the decision to purchase them is now your own. The Twilight Zone #1 is well worth your money, but that's just like, my opinion, man.